ASI will prepare an analysis of the current situation, including identification of strengths and weaknesses, and then identify projects which best reflect the strategic vision and meet the needs of the manufacturer. The Adjustment Plan is a prerequisite for a firm to receive further technical assistance under the Trade Act. It is a business plan which explains the strategy and actions that the firm intends to employ to adjust to the impact of imports, and what type of assistance it intends to seek under the Trade Act to carry out the plan. There is a one-time fee for the diagnostic analysis and Adjustment Plan, which represents 25% of ASI’s cost. The objective of this technical assistance effort is to develop, in close cooperation with company management, an Adjustment Plan based on a viable recovery strategy. The Adjustment Plan will reflect the decisions that company management has made with regard to the company’s future. 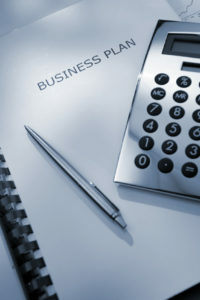 The Adjustment Plan will serve as a management tool in evaluating company performance subsequent to the adoption of the plan. A technical assistance team will be assigned to work with the management of the firm. Each consultant has significant industrial experience and training in his or her respective specialized area of marketing, manufacturing, or finance, as well as significant management experience. Each member of the team will carefully analyze your firm and evaluate the options available from the perspective of his or her own functional area, and they will collaborate to evaluate overall management needs and strategy. The team of consultants will initially be working at your company site in close cooperation with the management of the firm to evaluate options available within the company’s capabilities, strengths and weaknesses. The on-site effort will take one day initially. Once a viable adjustment strategy is developed, the team will collect the necessary information to complete the Adjustment Plan write-up. Identify the company’s major problems and their causes as well as major strengths. Evaluate with company management available options to address the major problems. Formulate with company management a viable adjustment strategy and future direction for the company. Develop with company management the key business-related tactics to be adopted by the firm to improve its situation and achieve a sound business posture. Evaluate the company’s own resources.